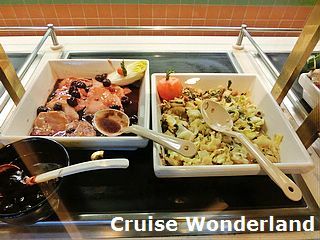 Besides formal dining in the main restaurants and Specialty Dining in alternative restaurants, passengers can also have the choice of a casual meal in the Horizon Court and the International Café. 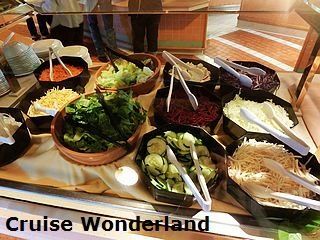 The former one is a self-service buffet restaurant opening from early morning to late night, whereas the latter is a 24-hour café offering light snacks in The Piazza. 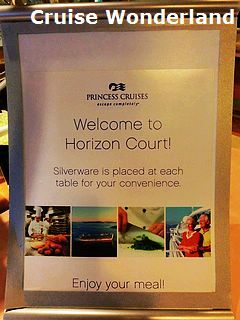 Dining at both spots have no extra charge except beverage orders. 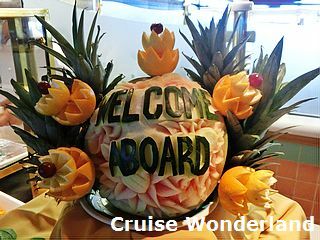 The Horizon Court is positioned aft of Deck 15 which can be accessed conveniently from three of the onboard swimming pools. 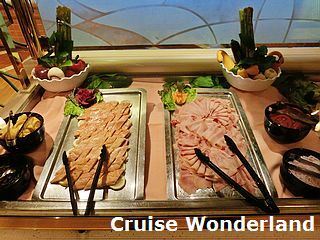 Self-service buffet is provided from 05:00 to midnight every day, including continental breakfast (05:00-06:00), breakfast (06:00-11:30), lunch (11:30-15:30), afternoon light snacks (15:30-17:30) and dinner (17:30-00:00). 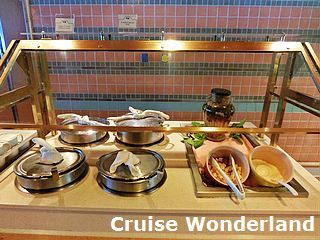 Food is complimentary but some of the beverages are charged. 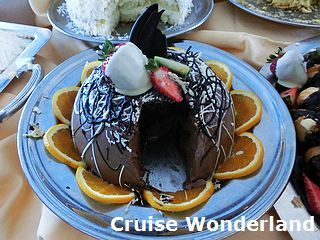 There are both indoor seating with floor-to-ceiling windows and outdoor seating overlooking the Terrace Pool, which offers a casual dining experience to guests. 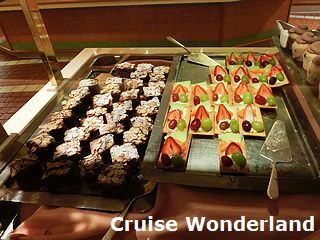 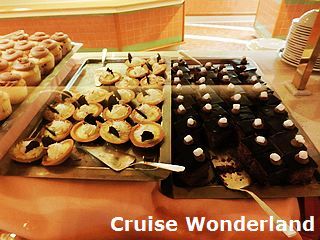 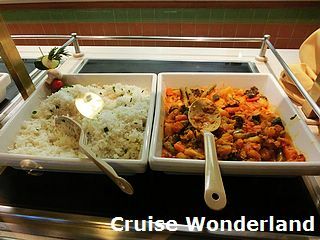 In addition, there are usually poolside lunch buffets next to the Calypso Reef & Pool with different daily themes. 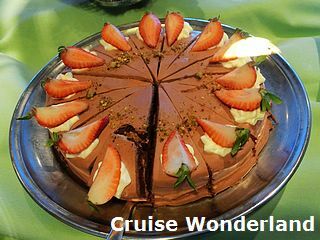 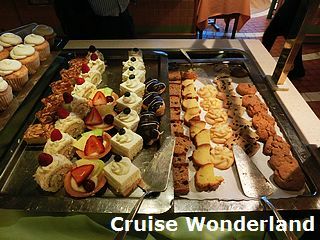 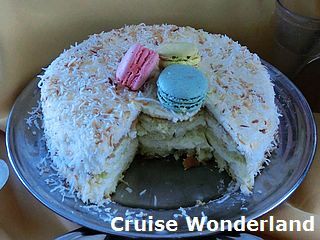 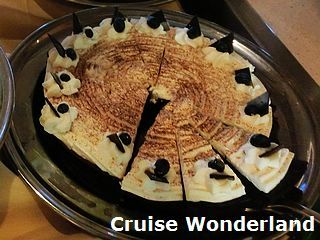 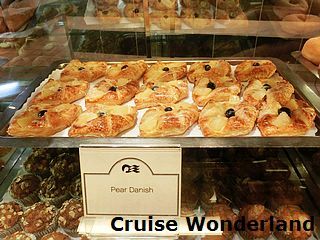 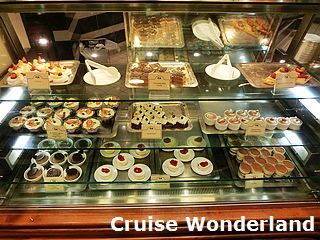 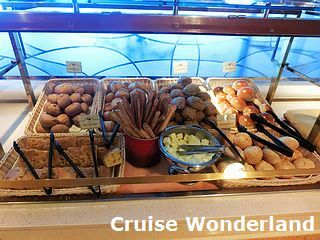 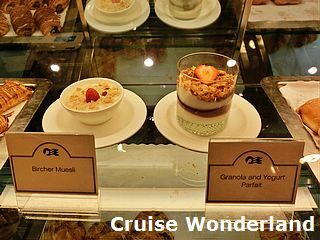 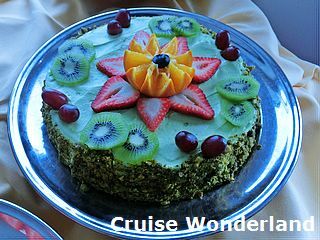 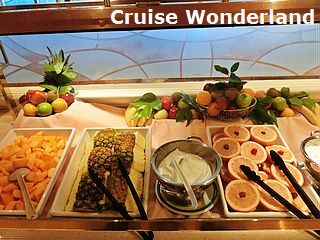 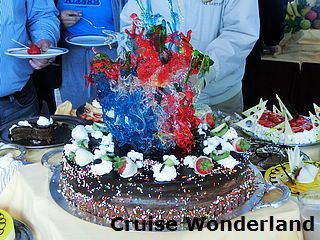 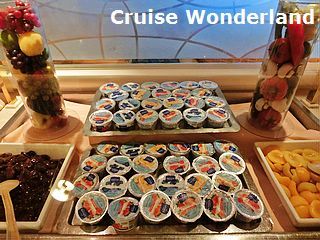 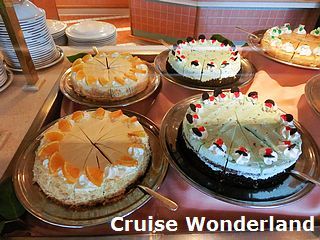 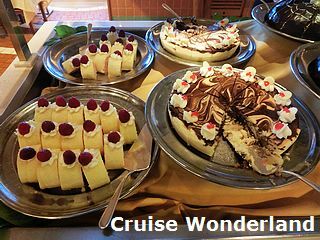 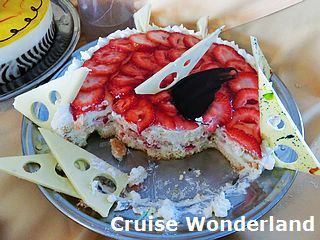 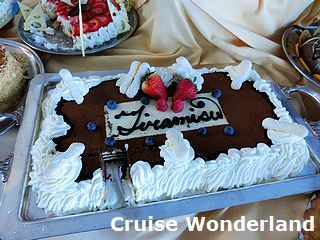 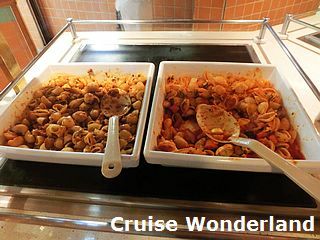 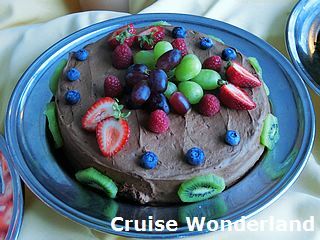 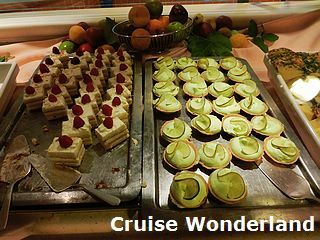 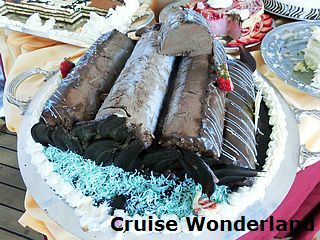 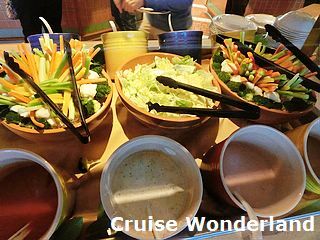 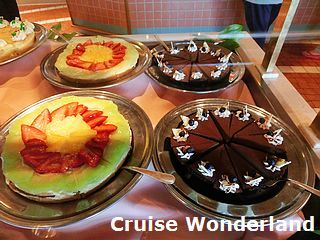 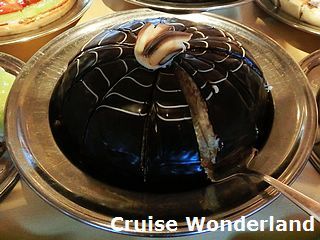 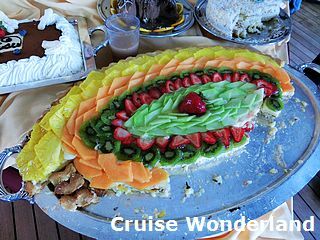 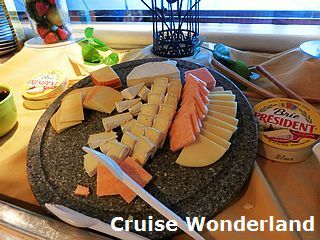 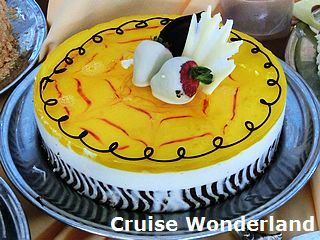 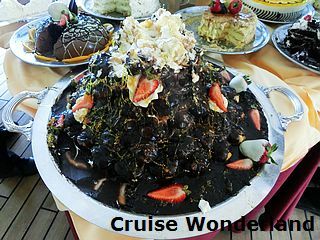 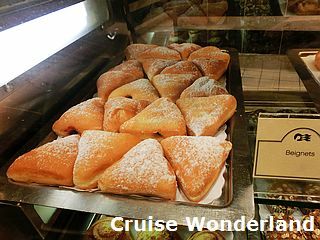 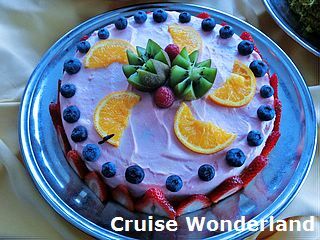 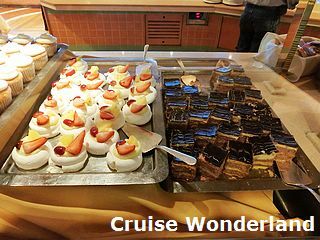 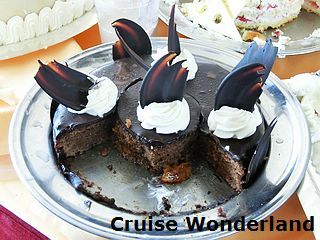 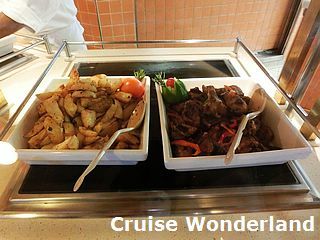 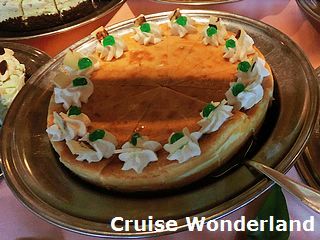 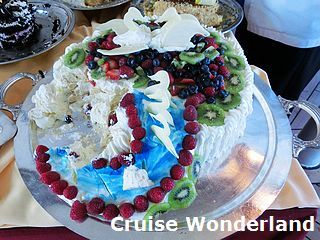 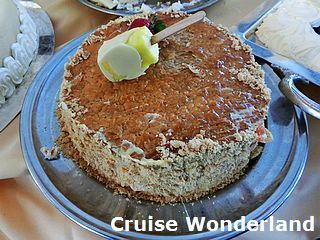 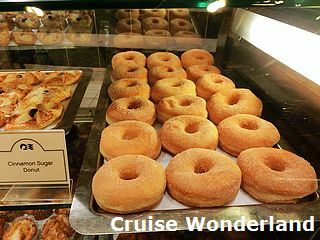 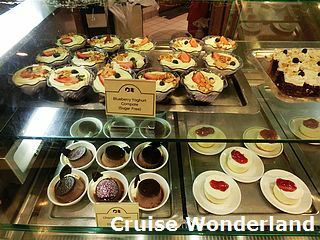 In this cruise we had "Chili and Chowder Cook-Off" (Day 2), "Golden Dragon Buffet" (Day 3), "Taste of Alaska Buffet" (Day 5), "Deck Fish Barbecue" (Day 6) and "Pastry Extravaganza" (Day 7). 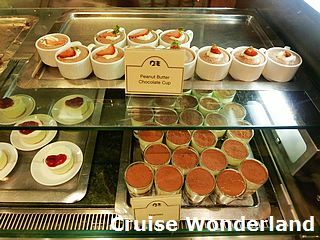 Introduced after the Golden Princess's renovation in 2009, International Café is a piazza-style café located amidships of Deck 5. 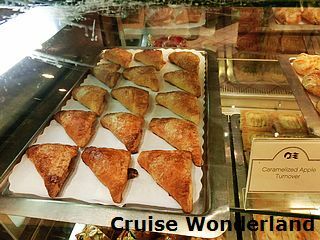 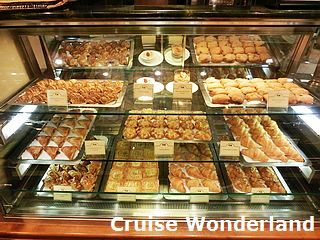 It is open 24 hours and features an ever-changing variety of quick bites, including confectionaries, pastries and sandwiches. 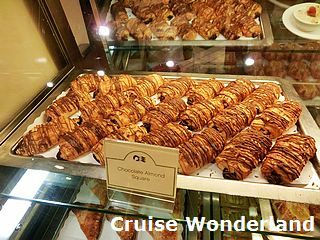 Freshly baked croissants and Danish pastries are served in the morning, whilst grilled-to-order paninis, salads and quiches are passengers' favourite items for a light lunch or dinner. 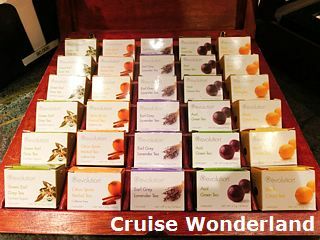 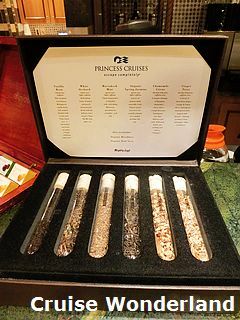 There is also a selection of speciality coffee and tea throughout the day. 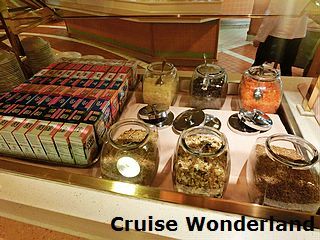 Most items here are free of charge.